Chris Amendola - Executive chef and owner, foraged. Chef Chris brings not only experience in the kitchen, but also a passion for seasonal ingredients to Foraged. 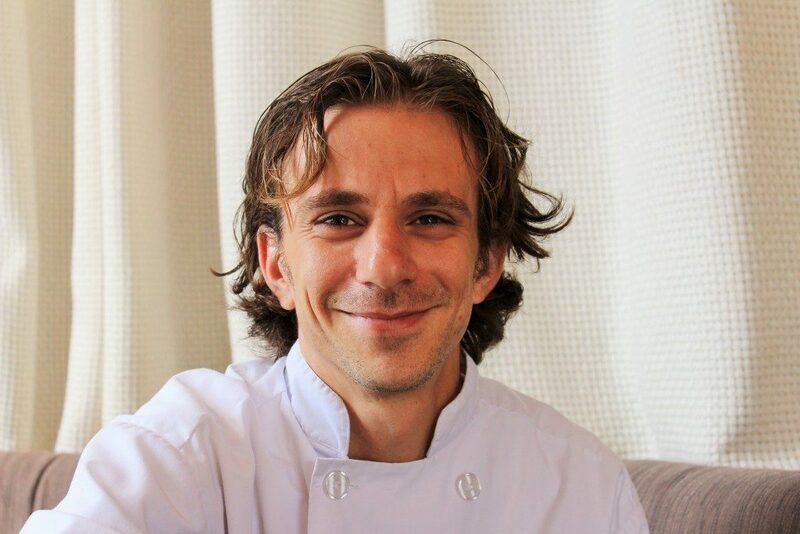 His culinary journey began when he was just a young boy growing up in St. Augustine, Florida. Often accompanying his mother to her work, in a restaurant and he would stand in the kitchen and watch the chef prep for service. Around that time, Chris became fascinated with the dynamics of the kitchen. As part of his weekly allowance he would record shows like Great Chefs of France and Great Chefs of the World for his Dad to watch when he got home from work. It when then he fell in love with cooking. Chef Chris received his formal training at the Southeast Institute of Culinary Arts in St. Augustine where he graduated at the top of his class. After refining his craft under Chef Todd English at BlueZoo in Orlando and with Chef Sean Brock at McCrady’s in Charleston, Chris headed north and worked in the kitchens of Café Dupont in Washington, D.C., Allium in Great Barrington, Massachusetts and the renowned Blue Hill at Stone Barns in Pocantico Hills, New York. He also staged in the kitchens of Mini Bar in Washington Dc and Eleven Madison Park in NYC. Locally, Chris held positions at Fleet Street Kitchen and Waterfront Kitchen. Additionally, Chef Chris is an experienced farmer and forager – having worked at Thackeray Farms on Wadmalaw Island, S.C., and in close connection with the team at Blue Hill Farm also, when Chef Chris is not behind the stove at Foraged, he is out in the woods looking for new ingredient to cook with. This agricultural and woods man knowledge allows Chris to elevate the dining experience for his guests. “I like to let the product speak for itself,” says Chris. “I believe in utilizing hyper-seasonal ingredients, allowing the natural flavors to complement one another.” His modern American style of cooking gives Foraged diners a unique culinary experience. Foraged will be opening in early December, the restaurant is located at 3520 Chestnut Avenue in Baltimore, MD. They will be open Tuesday through Saturday 5pm-10pm. Follow their Instagram @foraged_eatery to find out more info.